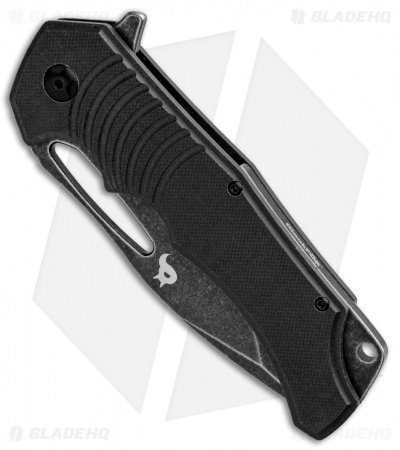 The BlackFox Hugin is a tactical flipper design by Mikkel Willumsen with bold lines and ball bearing enhanced flipping action. 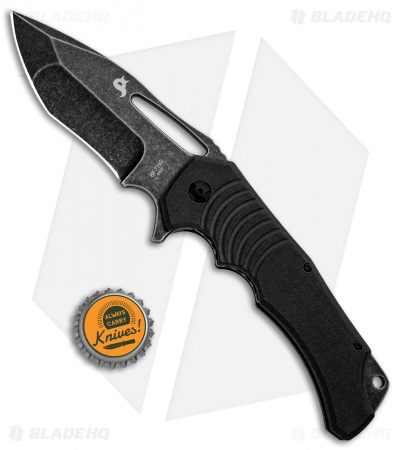 This model has a black G-10 handle and a black stonewashed 440C recurve blade. The handle is shaped for absolute grip security with deep finger grooves and textured scales. 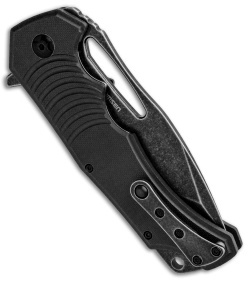 It comes outfitted with a lanyard compatible backspacer and a pocket clip for tip-up carry. Ball bearing pivot ensures smooth, reliable blade deployment. Jimping and a sizable choil allow total blade control. Textured G-10 scales and ergonomic finger grooves provide a secure grip.